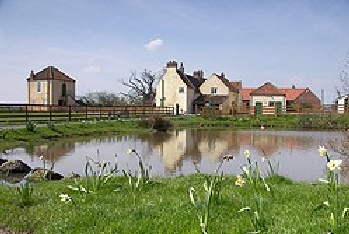 Newham Grange Leisure Farm is a working farm recognised by the Rare Breeds Survival Trust as an approved Conservation Centre. The farm offers examples of rare cattle, sheep and pig breeds, as well as usual farm animals such as ponies, goats, poultry and waterfowl. There are a number of craft and history displays including Corn Dolls and Walking Sticks. The Farmhouse Tearooms offers refreshments for all the family. An extensive series of events are arranged during school holidays. The farm offers a unique and memorable experience to see and touch the animals. The Agricultural Museum has a Victorian kitchen, a corn doll display and working beehive. The visitor centre shows the progression of farming and the advance of farming technology; while the hatchery gives an opportunity for visitors to watch chicks grow up. The farm holds demonstrations and an extensive events programme throughout the summer months, including walking stick making, Jersey cow hand-milking, bee keeping and a blacksmith at work.